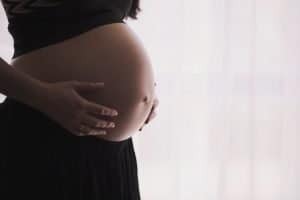 Folic acid… it’s the nutrient they tell every pregnant woman to take and it’s the supplement that they give out in sample packs at your very first hospital visit, but it turns out that the information we’ve been given has been very, very misleading. Folate and folic acid are two very different things, but over the years, the terms have been used completely interchangeably and without much consideration. Whilst folate is a natural, water- soluble B vitamin found in food (more specifically called B9), folic acid is a synthetic form of the nutrient, developed in the 1940s. Folate is absolutely essential for everyone, especially pregnant and breastfeeding women, and also for those women in the few months before trying to conceive, as it can help the development of red blood cells, energy, nervous system functioning and neurotransmission. Folate gets broken down into tetrahydrofolate in the small intestine and can reduce the incidence of neutral tube defects. The problem though is when we’re led to believe that folic acid does exactly the same thing. Whilst the incidence of neural tube defects has reduced since its introduction, folic acid has a very different, slow processing route in the body, and can result in the unmetabolised form entering the system and floating around the body. The risk of excessive folic acid can result in abnormal growths, can mask the symptoms of B12 deficiency and anemia, can lead to cognitive decline, and is even being studied for its link with certain cancers. Folic acid can also bind to folate receptors on cells and carrier proteins, intended for actual folate, which can prevent the natural nutrient from getting into the cell and from being effectively transported around the body. As there are many folate binding proteins in breast milk (intended for healthy growth and development of the baby), taking high doses of synthetic folic acid can have a big impact on this process and the developing baby too. One major factor in this whole process determining the extent to which a person will be affected, is a genetic mutation on the MTHFR gene. This gene effects the production of something called methylenetetrahydrofolate reductase (MTHFR) and can change the way we utilise the nutrient folate. It’s thought that up to 50% of the population has a mutation here, meaning that not only does extra folate need to be consumed to make up for slow utilisation, but that also folic acid in its synthetic form is even harder to utilise, potentially leading to negative symptoms. Without genetic testing you won’t accurately know whether this applies to you, however, there are groups of people for who this may be highly likely. For those with a family history of depression and/ or anxiety, insomnia, frequent miscarriages, and family history of cardiovascular issues, it may be worth getting tested as all of these can imply that there’s something happening with the MTHFR gene, and simply altering folate intake (as well as other B vitamins) can make the world of difference. Hopefully more brands will start to become aware of this issue and change the nutrients they use in their supplements, but until then, please read the back of your packs very carefully, even if they are given to you in midwifery settings!